The smokey eye is a lot like Christmas. It’s beautiful, it’s fun and a good one can make you really happy! So get ready to flaunt your very own smokey eye look for your Christmas party. You will need 3 shades of eye shadow going from light to very dark (white, grey and black for example) and a concealer or a primer. If you’re gonna go smokey, go smokey all the way! 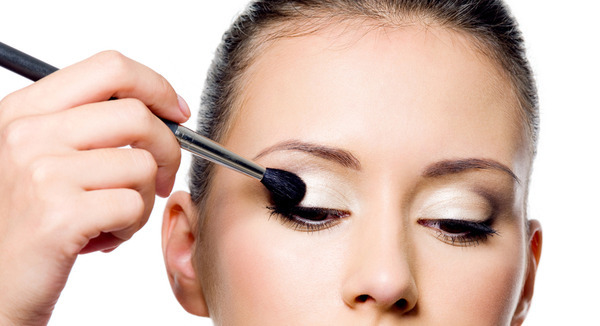 Before applying eye shadow of any type it is important to prime your lid first. You can opt for any eye shadow primer available in the market, or choose to do it with your regular concealer instead. Make sure you go all around your eyelid, from the inner corners to your brow bone. 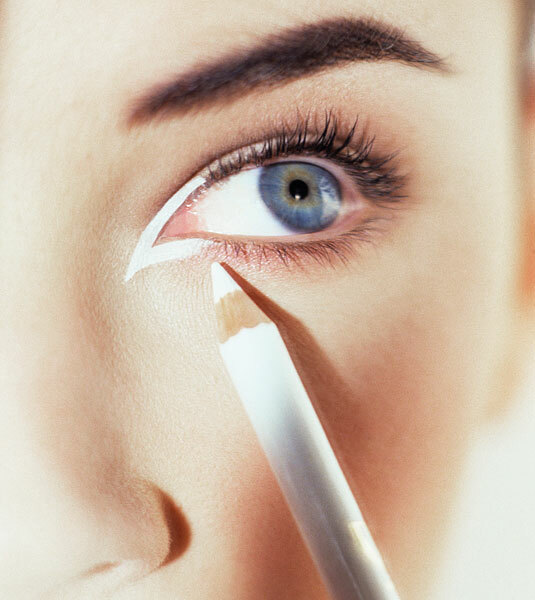 Apply some primer/concealer below under your eyes to mask any dark circles that may show up. Let your primer settle for a bit (in the mean time you can use concealer/foundation on your face) and then choose the lightest and the sparkliest eye shadow shade. Take a little of it on your brush and apply right next to your tear duct, up and down. This helps your eyes look brighter and creates an interesting gradient effect which is the best feature of your smokey eye look. Then take the neutral shade of eyeshadow on your brush. Shake it off a little so that the excess blows away. It’s always easier to pile on more shadow if required, but taking it off can be troublesome. Then apply this shadow in the middle portion of your eyelid. From the point where your highlighting shadow ends to over your pupil. Blend both these shadows in so that it looks like they are flowing naturally into each other. Then take the darkest shade of eye shadow on your brush. Slowly pile on the shade on the outer corner of your eye, going beyond the crease but not till your brow bone. Ensure that the colour here is really saturated and even on both eyes. 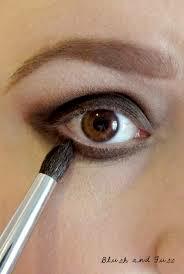 Then blend it outwards from your eye and into your neutral shadow shade so till you get that smokey effect. Apply the eye shadow on the outer edge of your lower lash line as well. Another way of doing this effectively, is by applying your pencil liner in a dark black shade in a thick block at the outer corner. Then use a smudge tool to blur out your eyeshadow and make it look smokey. Extend the pencil liner to your lower lash line and blend to complete the smokey effect. 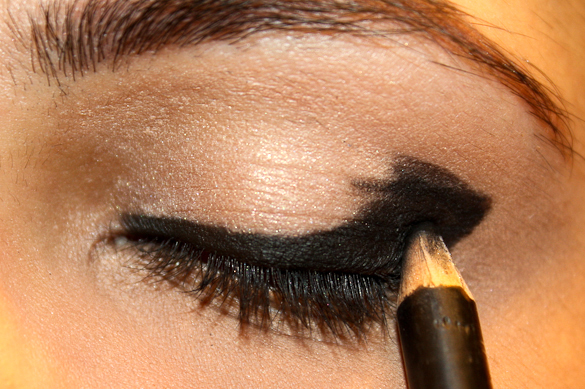 If you are attempting this method, be sure to pick an eyeliner pencil that is soft and smooth, but still very dark. Many eyeliner pencils in the market have smudge tools attached, so it’s not that difficult to get one of these. Once you have achieved the smokey effect that you are comfortable with, go over your eye shadow entirely with a blending brush, or if you are confident you can even use your ring finger. The ring finger has much lesser pressure than the forefinger, making it easier to not make mistakes or poke yourself in the eye. Opt for a shinier liquid liner or gel liner to get the perfect finish and shine. Apply the liner in a thinner line than usual because the hero here is your eye shadow look and the eye liner is just to frame your lids. A slight wing is the best liner look for a smokey eye because it extends to just about as much as your eye shadow, making the look really work together. Then go for your volumizing mascara and add a few coats of it for that perfect smoldering smokey eye. 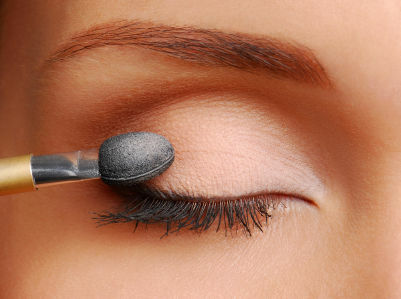 You can brush on a little compact powder under your eyes, to brighten your eyes and hide any eye shadow fall out. Remember to keep your lips subtle. Just apply a coat of pink or peach gloss. Let your eyes steal the show, by keeping the rest of your makeup really minimal! ← Zuri wishes you a very Merry Christmas & a Happy New Year!